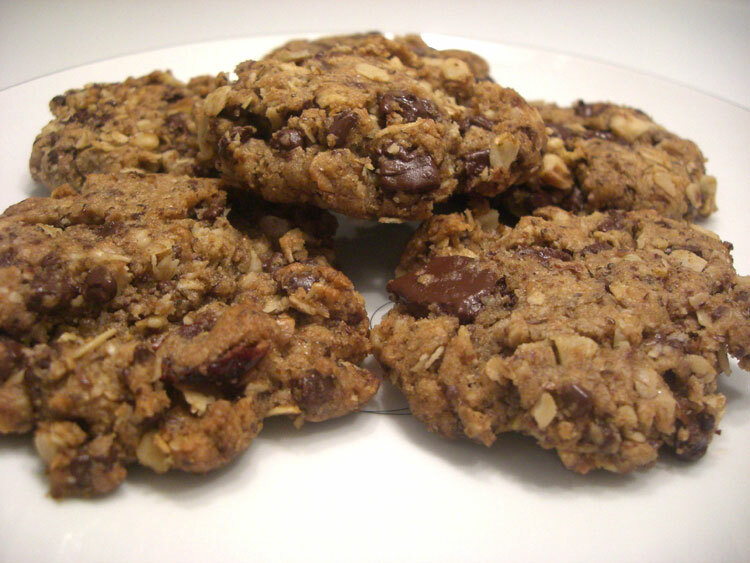 The healthiest cookie recipe I have tried. Delicious! In a large mixing bowl, beat butter with sugar using an electric mixer. Add cinnamon, soda, and salt. Beat until combined. Add cream cheese, oil, and vanilla, and beat until combined. Beat in flours. Using a spoon, stir in remaining ingredients. Dough will be crumbly. Form into balls and place about 2 inches apart on cookies sheet (press down a bit). Bake 9 minutes, and let cool on cookies sheet another minute before removing. Transfer to wire rack to cool.